Family Armory is more than a business name to us. Family describes who we are, what we believe in, where we come from, how we conduct business, and why we are driven. We believe that family is worth protecting. And we know that you believe that too. There’s a reason why more men and women living in the Permian Basin purchase firearms and obtain their license to carry a firearm year after year. Each one of us recognizes the kind of world we’re living in, and we’re all taking the steps necessary to protect what matters most. If you share our blue collar values and desire to protect what matters most, Family Armory welcomes you to train at our facility. Our family envisioned Family Armory as a place where you can practice with the tools to defend yours. If you are one of the over 14,000 individuals living in Midland and Odessa who possess a license to carry a firearm, you already understand the time, education, and motivation that went into obtaining the license (Active handgun licenses – TxDPS – April 2016). You already know that the license does not take the place of regular shooting practice, and that muscle memory is a perishable skill. As a license holder, you train at Family Armory to close the distance between point of aim vs. point of impact because you understand that you’re responsible for every bullet leaving your firearm. Most firearm owners do not possess a Texas license to carry. In fact, it would probably be accurate to say that LTC holders represent a small fraction of the total number of those who own a firearm. And as all firearms owners know, responsible ownership does not come without its share of duties. While a license to carry a firearm allows individuals to carry a firearm beyond their own personal premises in either concealed or open fashion, having the license is not required for purchasing or practicing. If you are a firearm owner, you are probably aware that some manufacturers specify a “break-in period” for new firearms to ensure reliability. You also know that your firearm operates better when using certain brands of ammunition than others. In addition, you are probably already familiar with the manufacturer’s manual for tear-down, maintenance, and cleaning/lubricating procedures. Our indoor range serves as a safe and controlled venue to test and maintain your firearm’s reliability. Responsible firearm ownership mandates regular safe practice. Family Armory’s market research began in the fall of 2012 under the guidance of the Small Business Development Center at the University of Texas of the Permian Basin. Three years later, we contracted with a local area builder from Seminole, Texas — Fehr’s Metal Building — to begin construction. Together with Fehr’s, Family Armory collaborated with the biggest names in the industry, Action Target and Range Ventilation Design, to furnish and to install the range equipment. 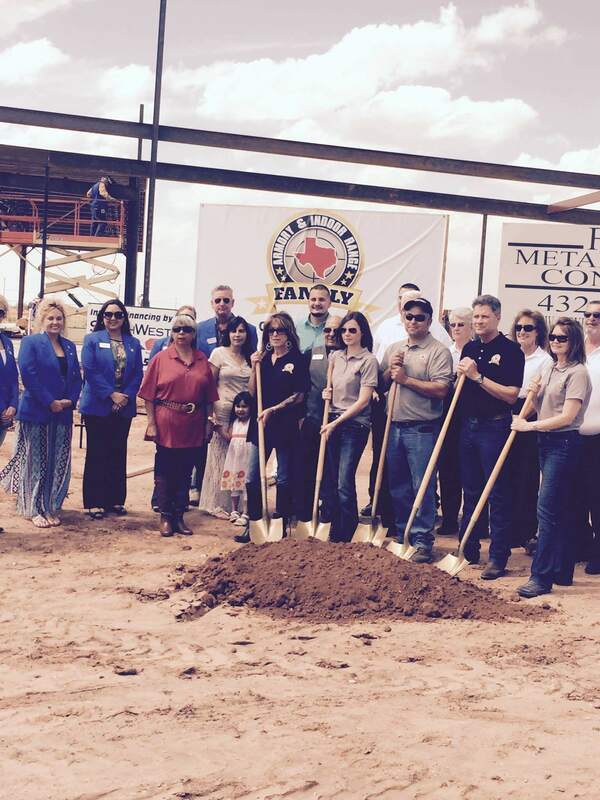 On November 17, 2015, this combined effort resulted in the first state of the art indoor shooting facility built in the Permian Basin for the Permian Basin by contractors from the Permian Basin. Since opening, thousands — yes, thousands — of individuals from our local community and from all over the world have shot at our facility. Our goal is to provide a friendly “West Texas experience” to all of our customers, and we look forward to the next time you practice with your firearm at Family Armory!